It was for the 'sick' / sinners that Jesus came, not for the 'well' / righteous (Mark 2:15-17). And it is by his stripes that we are healed (Isaiah 53:5). Pray that these troubled lands will know spiritual awakening; that the LORD may come with healing in his wings (Malachi 4:2). All the while keep praying for the Church, that she might not only endure, but through Christ, overcome (John 16:33). SEPTEMBER 2012 UPDATE -- During September we prayed concerning . . .
* A SAUDI CONVERT named Maryam (RLPB 175), who had fled the kingdom for liberty and sanctuary in the West. According to the Saudi Gazette, Interpol has been enlisted to help track down the 'girl' who Saudi authorities claim is a victim of traffickers. A Lebanese Christian man (50) is accused of 'coercing' Maryam (28) into Christianity, while a Saudi man is accused of helping 'smuggle' her out of the kingdom. They were due to face court on 15 September. No update is available. * RIMSHA MASIH & YOUCEF NADARKHANI (RLPB 176), who both walked 'free' from prison on the weekend of 8-9 September, yet remain seriously imperilled. UPDATE: Rimsha's case has been referred to a juvenile court; the next hearing is set for 1 October. Though Rimsha will doubtless be exonerated, due primarily to her age and mental capacity, her life is still gravely endangered. Pray for her. Pray also for Asia Bibi, a Christian wife and mother of five, who languishes in jail, sentenced to death for insulting Islam. Two Pakistani politicians have been assassinated while trying to defend her. * THE FILM RIOTS (RLPB 177), which are being used to justify calls for international criminalisation of criticism of Islam. PAKISTAN -- MUSLIMS TEAR UP BIBLES, BURN CHURCH, BEAT BOY. On Friday 21 September a mob of several hundred Muslims attacked St Paul's Lutheran Church in Mardan city, some 60km north-west of Peshawar, as they returned from a rally against the film 'Innocence of Muslims'. Security had been provided, but it could not hold off the attackers who had come armed with kerosene and guns. The Muslims broke into the church, desecrated the altar and tore up Bibles and prayer books. They then set fire to the property, holding off fire-fighters so that the 82-year-old church, its adjoining school, library, computer lab and four clergy homes, along with several cars and motorcycles, were all totally razed. The Muslim mob also beat and hospitalised Zeeshan Chand, the 17-year-old son of a pastor. 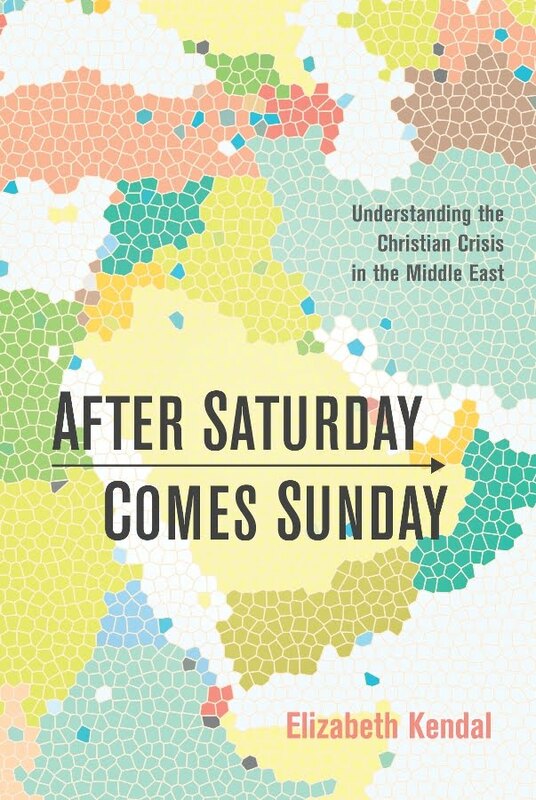 Islamic belligerence is escalating and Christians are understandably fearful. The 67th sitting of the United Nations General Assembly (UN GA) is under way in New York. High on the agenda is whether the right to freedom of speech includes the right to criticise religion (specifically Islam). The Organisation of Islamic Co-operation (OIC), along with its allies and lackeys, are arguing that violent Islamic rioting is the unfortunate yet unavoidable consequence of 'defamation' of Islam. Once 'defamation' or criticism of Islam is re-branded as incitement (already criminal), the OIC and its supporters will insist that legal instruments and protocols be established so that UN Resolution 16/18 can be implemented and those who 'defame' or criticise Islam can be arrested and punished. [UN Resolution16/18, which equates 'defamation' with incitement, was passed in the UN Human Rights Council in March 2011.] All the while the OIC will insist that this is not to protect Islam from criticism, but to protect the world from Islamic violence. World leaders must reject this blame-the-victim, schoolyard-bully reasoning, for it will lead simply to the Islamisation of human rights. The Qur'an says that if we do not forbid what Islam forbids, then Muslims are ordered to fight us until we do (Sura 9:29). It also states that we shall all submit, if not willingly, then by force (Sura 13:15). According to Middle East Media Research Institute (MEMRI) several Arab writers have stepped up to criticise harshly the uncivilised behaviour of the rioting mobs, blaming Arab and Muslim society for this backwardness. 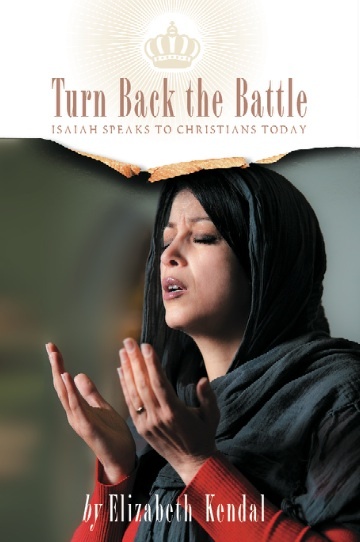 One Arab writer asked, 'How would Christian society respond [to an offensive image]? What would its discourse [in response to such an offence] be like? [The image] would likely evoke cold and mocking responses. The Christian intellectual would smile and launch a scathing criticism within Christian society . . . How can we convince the Western citizen that this religion [Islam] is respectable, when all he sees is extremism and terrorism?' Pray that Muslims will seek and find the truth that will set them free. With the highly offensive, blasphemous art of Andres Serrano due to go on display in New York from 27 September, pray that Christians will respond rightly with exemplary God-honouring, Christ-glorifying, Spirit-led answers. 'But I [Jesus] say to you, love your enemies, bless those who curse you, do good to those who hate you, and pray for those who spitefully use you and persecute you' (Matthew 5:44 NKJV). SEPTEMBER 2012 ROUND-UP -- also this month . . .
On Sunday evening 16 September a bomb hidden in a bag exploded at the door of the Chaldean Catholic cathedral in Kirkuk. Fortunately nobody was injured and only material damage was sustained. The following Saturday some 150 Christian youths held a day of prayer and fasting where they asked the Lord for peace in Kirkuk and across Iraq. The Chaldean archbishop, Msgr Louis Sako, commended the youths, noting that the church in Iraq may be afflicted, but it is not crushed (2 Corinthians 4:8). At the end of the day, other believers joined the youths in a celebration of the Lord's Supper. Pray for the Church in Iraq. GOOD NEWS -- The Nigerian military Joint Task Force (JTF) has had some significant successes against Boko Haram. On Monday 17 September, in a joint operation in Kano with State Security Services (SSS), Boko Haram's spokesman and media coordinator, Abu Qaqa, was killed and two senior leaders were captured. The next day the JTF seized control of Boko Haram's command and control centre in Kano. The heavily booby-trapped hideout was full of bomb-making equipment, weapons, motorbikes, computer equipment, a generator and numerous Islamic religious books. On 20 September the JTF reported it had killed two senior Boko Haram militants in Maiduguri and uncovered a well-equipped operations base and a substantial weapons cache that included 39 primed Improvised Explosive Devices (IEDs). On 23 September, after a gun battle in Damaturu, a JTF operation culminated in the death of 35 militants, the arrest of 60, and the recovery of a large cache of weapons. On 25 September one senior Boko Haram leader was killed and 156 militants arrested in a JTF operation in Adamawa. A huge weapons cache was recovered, including some 300 IEDs. Please thank God and continue to pray for a breakthrough against Boko Haram. BAD NEWS -- On Sunday night 2 September Boko Haram militants, armed with explosives and petrol bombs, torched the Church of Christ in Nigeria (COCIN) in Marte, 140km north of Maiduguri. At 9am on Sunday 23 September a suicide bomber drove to St John's Catholic Church in Bauchi intending to detonate his explosives inside the church grounds. However, all cars and worshippers were being screened for security at barricades well outside the church perimeter. Realising he would not gain access to the church the bomber rammed his car directly into the queue of worshippers and detonated, killing a woman and an eight-year-old boy, and wounding a further 48 people. Please continue to uphold the Nigerian Church in prayer. This is very much a spiritual battle. GOOD NEWS -- Kenya, Somali and African Union troops are making great gains against al Shabaab. A battle is presently raging for the stronghold of Kismayo. Please continue to pray for a breakthrough against al Shabaab. BAD NEWS -- The battle has displaced many thousands of Somali civilians; it has also forced al Shabaab to retreat north towards Gedo, where the Somali, Kenya and Ethiopia borders meet. This could lead to an escalation in terrorism and revenge killings, particularly over the border in Mandera, Kenya. Also, Kenyan Christian aid workers Janet Kanga, Martin Kioko and Abdinoor Boru remain in captivity (see RLPB 174). The three were serving with International Aid Services when they were taken hostage on 11 July 2012. Pray for God to sustain, protect and deliver them. Pray for the remnant Church in war-ravaged Somalia. 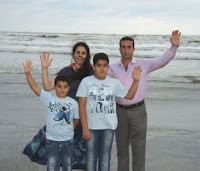 Over the weekend of 8-9 September two persecuted, imprisoned and much-prayed-for Christians -- Pastor Youcef Nadarkhani (34) of Iran and Rimsha Masih (14) of Pakistan -- walked free from their cells into the warm embrace of family. While we praise and thank the LORD for granting these blessings, we must recognise that these battles are not over. We must persist in prayer. On Saturday 8 September 2012, after more than 1000 days in jail, Youcef Nadarkhani -- the sorely persecuted pastor who repeatedly refused to renounce his LORD -- emerged a free man, unbroken. 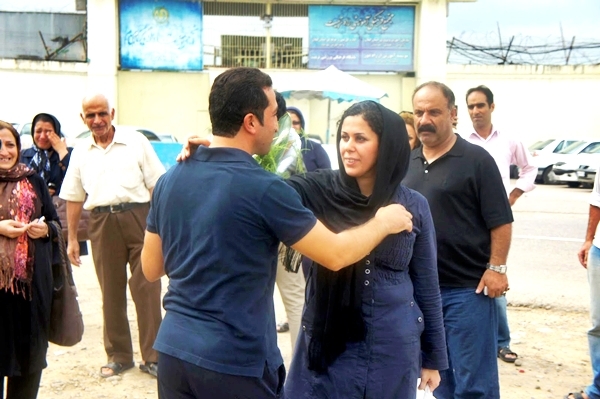 The court acquitted Nadarkhani of apostasy, the charge for which he had been sentenced to death. According to Mohammad-Ali Dadkhah, Nadarkhani's lawyer, the court 'finally accepted our argument' that Iran's penal code did not 'criminalise apostasy' (Financial Times, 9 Sep). However, the court did find Nadarkhani guilty of 'evangelising Muslims'. For this 'crime' he was sentenced to three years imprisonment but granted time served and released. While we rejoice that Pastor Youcef is out of jail, enjoying the fellowship of believers and the joyful, tender warmth of his wife and sons, we must remember that Nadarkhani's life might be more at risk now than ever. Iran's penal code might not criminalise apostasy but Islamic Sharia law does. Furthermore, as this prayer ministry previously cautioned in RLPB 173, 'by launching a new trial with unprovable accusations [extortion and banditry], the regime may be seeking to "wash its hands" publicly of Nadarkhani and release him to the Islamists and secret police while declaring itself "innocent of this man's blood" (after the manner of Pontius Pilate in Matthew 27:24), as has happened before in Iran.' Furthermore, a second conviction of 'evangelising Muslims' would doubtless be punished more severely than the first. We must also remember that numerous Iranian Christians remain in prison, including Pastor Behnam Irani (41; married, with two children) who is gravely ill.
Rimsha Masih (14) was granted bail on 7 September but could not leave prison until adequate security was arranged. On Sunday 9 September she was transported in a bulletproof armoured vehicle to a helicopter that flew her to a secret location where she should be safe from the radicalised Muslim mobs that demand her death. Rimsha will face court again on Sunday 16 September and should be acquitted. Having been accused of blasphemy, Rimsha in reality is not safe anywhere in Pakistan -- her innocence is irrelevant! Unless the family is removed to a safe-haven in the West, she will eventually be killed -- probably sooner rather than later. Whilst Rimsha's plight is terrible, what it says about the Pakistani society in which Christians have to live is far worse. And because the authorities have been able to turn this case into one about age and mental capacity (Rimsha is a mentally impaired juvenile) and a local imam has been accused of evidence-tampering, they have been able to whitewash the whole crisis completely so that it is no longer about the blasphemy law and endemic religious hatred at all. The danger is, that with the next crisis looming, the real issues are not being addressed. A few voices of protest and disgust are being raised, warning that Pakistan will be torn apart unless Wahhabi Saudi Arabian, Sunni fundamentalist ideology is countered. However, political courage is in short supply. While we rejoice that Rimsha is out of jail and back in the comforting arms of her loving parents, we must resist the temptation to cry 'peace, peace' when there is no peace! At this stage, nothing has changed in Pakistan. Over the weekend 8-9 September two persecuted and much-prayed-for Christians -- Youcef Nadarkhani (34) of Iran, and Rimsha Masih (14) of Pakistan -- walked free from their cells into the warm embrace of family. We praise and thank the LORD for this, while recognising that these battles are not over. The court acquitted Pastor Youcef Nadarkhani of apostasy but found him guilty of evangelising Muslims. For this 'crime' he received a three-year sentence but was released due to his time already served. Nadarkhani's life is still seriously at risk. Rimsha, who is out on bail, will face court again on Sunday 16 September and should be acquitted. Rimsha's life is so imperilled that she must remain in hiding so that Muslim mobs do not find and kill her. Please pray. -- Interpol and Swedish authorities aid Saudi Embassy to hunt convert. Since late July Saudi media have been buzzing with reports that a 28-year-old Saudi woman has embraced Christianity and fled the country, staying initially in a church in Lebanon before moving on to Sweden. According to the Saudi Gazette, the woman, Maryam, appeared on an Arabic TV channel saying she was tired of performing prayers and fasting during Ramadan -- rituals that never brought her any benefit. She also criticised Saudi Arabia's Commission for the Promotion of Virtue and Prevention of Vice. She claimed to have been converted through a dream and said that though she was raised to hate Judaism and Christianity she has come to love those religions since finding peace in Christianity. The woman's father said his daughter was working in an insurance company in Al-Khobar (in Saudi Arabia's Eastern Province) when her boss, a Lebanese Christian man named Henna Sarkees (50), influenced her and ultimately encouraged her to leave Islam. According to Saudi investigators, a second man, a Saudi national, helped the woman obtain false documents and leave the country. The woman's family have pressed charges against the two men because apostasy (leaving Islam) is an Islamic capital offence and a Saudi woman is not allowed to get a passport without the permission of her male guardian. The men will face court on Saturday 15 September. Domestically, the totalitarian Wahhabist Saudi regime will be keen to perpetuate its lie that Saudi Arabian citizens are 100 percent Muslim and that the land of the two holy mosques could never produce Saudi Arabian Christians! Consequently it will be imperative that the Saudi woman, Maryam, be deemed to have been emotionally unbalanced and coerced and/or kidnapped -- anything but a convert. Likewise the Saudi man must be deemed to be an opportunistic criminal -- anything but a sympathiser. Saudi media are sparing no effort to influence public opinion. Whilst initial reports described Maryam as a 28-year-old professional, later reports simply describe her as a 'girl'. According to the Saudi Gazette, Maryam's conversion was nothing more than that of a 'girl' forming an 'emotional attachment to a Christian young man'. In other words, her act was emotional not rational. It also claimed the 'girl' rejected Islamic rituals only because she had not been properly taught to understand and appreciate them -- her action was based on ignorance, not reason. The Saudi Arabic daily Al Youm claimed Maryan had contacted them, denying she had appeared on television, maintaining she is still a Muslim and requesting help to return home. According to Gulf News, Maryam's family has suggested she may be 'a victim of an international organisation trafficking in people'. On 2 September the Saudi Gazette reported that 'Interpol is co-ordinating with the Saudi Embassy in Stockholm and Swedish authorities to return the girl to her homeland before her "kidnappers" move her to another country.' The embassy reportedly has started a search for the woman, with the aid of Swedish authorities. * break the chains of fear and darkness that keep the hearts and minds of Saudi Arabs shackled to an Islamic Jesus who cannot save, while the biblical Jesus is waiting to show grace. * protect Maryam from a forced return to Saudi Arabia where, as an apostate, she may well face violent retribution, even death. In late July Saudi media reported that a Saudi woman named Maryam (28) had illegally both embraced Christianity and fled the country. Her family have charged two men -- a Lebanese and a Saudi national -- with complicity in her conversion and escape. The men will face court on 15 September. Whilst a woman claiming to be Maryam told an Arabic TV channel that she was converted through a dream and has found peace in Christianity, Saudi media maintain it is all either fraud or coercion. The woman's family has suggested she is a victim of human traffickers. Interpol is reportedly coordinating with the Saudi Embassy in Stockholm and Swedish authorities to find and return the 'girl' before her 'kidnappers' can move her to another country. Please pray.